Sure, you could head down to Cancun or the Bahamas, and you could drink obscene amounts of tequila and wake up naked next to the hotel pool. But spring break doesn't have to mean "spring break", if you catch our drift. Here's an alternative guide to some of the Southeast's more adventurous (and less expensive) options that will surely make this spring break one to remember...as well as one you won't regret. Located just an hour and a half from the party-centric hordes of Panama City Beach, there's something in the sands at Cape San Blas that makes it totally different from other Florida destinations. Quieter, more secluded, and less developed than other nearby beaches, this 17-mile barrier peninsula—which separates the Gulf of Mexico from Saint Joseph Bay in the shape of a crescent moon—is considered by many to be what Florida used to be like back in the 60's before all the crowds and condominiums and swanky high rise apartments. Cape San Blas is an isolated stretch of beach that's brimming with all kinds of coastal adventure and a slower-way-of-life sort of charm. Where to stay: As with any beach vacation, finding proper accommodations will be the biggest fiscal thorn in your side. And while it's certainly easy to pay a premium in Cape San Blas for the nicest beachside accommodations, there are ways to be economical. AirBnB offers a handful of houses in the $200-300 per night range, and you can also find plenty of other options at VRBO.com, including one small cabin tucked in the woods that goes for $86 per night. Further down the road—or up the peninsula depending on how you look at it—St. Joseph State Park offers RV and tent camping for $24 per night as well as cabin camping for $100 per night. So you've got options. Weather: The springtime weather at Cape San Blas is about as good as it gets. Though March can sometimes be a bit chilly—with an average low of 51 degrees and an average high of 70—the weather in April is simply perfect—with an average low of 58 and high of 76. Throw in the added benefit of less precipitation in the spring than you'll encounter in late summer and early fall, and it's easy to see why a spring break escape to this peninsula is such an appealing prospect. Food: The dining options on the Cape itself are admittedly limited, but there are a handful of great restaurants in the nearby towns of Port St. Joe (17 miles away) and Apalachicola (23 miles away). For a great dive bar with inexpensive beer and classic fried fish dishes served in red baskets with wax paper, you can't go wrong with Triple Tails. For the best pizza near the cape, Joe Mama's is a great option. But perhaps the number one dining experience near Cape San Blas is the Indian Pass Raw Bar. Situated in an old gas station right on the side of the road, this place is all about good food and good company. The oysters are incredible, and so too is the shrimp and crab. There are no hostesses and no frills. Be prepared to wait if it's after 6:00pm, but part of the experience is hanging out in the parking lot, drinking beer (which you take from a cooler on the honor system), listening to live music, and meeting new friends. It's a can't-miss experience. What to do: From casual excursions like beach combing and strolling, to surfing and stand-up paddling on a small surf break, to venturing a little further afield to the giant dunes of St. Joseph Peninsula State Park or the avian-infested groves of the St. Vincent National Wildlife Refuge, there's no shortage of things to do around Cape San Blas. Not to mention, you can also go horseback riding on the beach, go on a fishing expedition, or take to the 8-mile bay side bike trail along Cape San Blas Road for some two-wheeled touring. 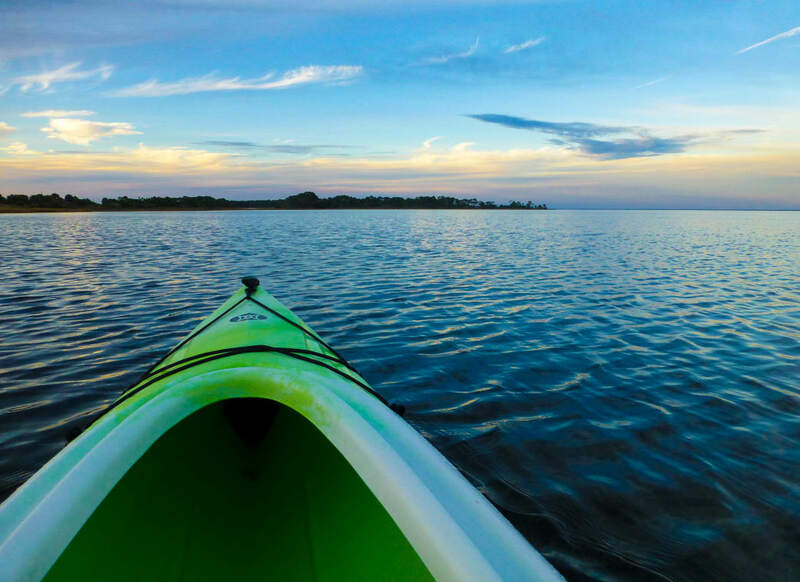 We recommend kayaking in Saint Joseph Bay or catching waves on the Gulf during the day and then unwinding at night by having a bonfire on the beach, which—unlike many other Florida beaches—is actually still allowed at Cape San Blas. And pets are allowed, too. If you’re looking to dip your toes into the Smoky Mountain experience, the west end of the park via Townsend is the best way to do it. Included in this part of the park is Cades Cove, which is home to historic structures like the old Missionary Baptist and Methodist churches and the John Oliver Cabin, all remnants from the days when the cove was home to a small community of settlers before the founding of the national park. 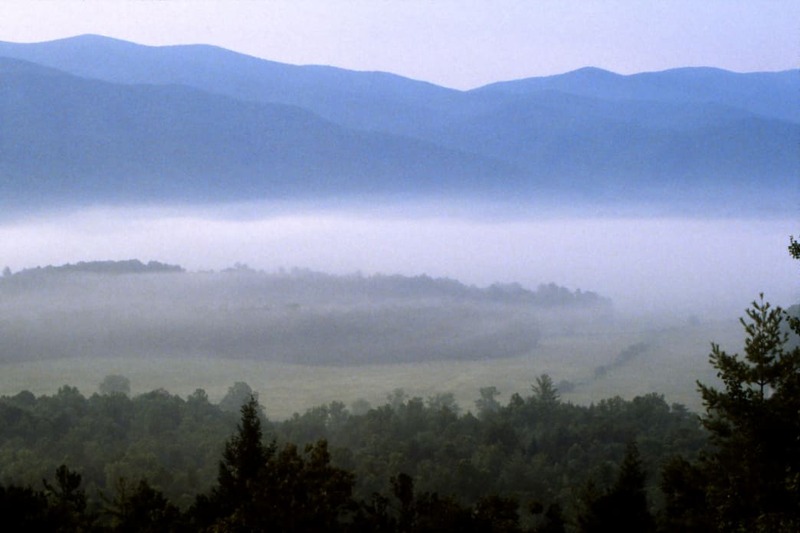 The Cades Cove Campground is one of the most popular in the park, a nexus of adventure connecting craggy Thunderhead Mountain with rolling Cades Cove. It’s also one of the most accessible campgrounds in the park, and one of only two open year-round (the other is the Smokemont campground, located in the southeast on the North Carolina side of the park). The low elevation and well-maintained roads offer some of the best late winter and early spring experiences in the park. It's important to reserve your spot well in advance to get your pick of the more pristine and woodsy spots. While some RV enthusiasts would consider the camping “rustic” (no running water or electric hookups), those hoping for a more set-apart (and frugal) camping experience might do better to purchase backcountry permits ($4 a person, per night) and head down the nearby Anthony Creek Trail. Just a few miles down, hikers can find two primitive campsites (the pink sites numbered 9 and 10 on this map) just a few miles down Anthony Creek Trail for a true wilderness experience. On your way home, nearby Gatlinburg offers a wide array of places to grab some post-adventure grub. Crockett's 1875 Breakfast Camp is a true Smoky Mountain staple with classic breakfast fixin's and one of the best cinnamon rolls in the South. Smoky Mountain Brewery has the best locally-brewed beer in town. And the Cherokee Grill has the best steak. The Standing Indian Loop is easily among the best backpacking trips in the Southeast. It's 24-mile loop, which travels along the famed Appalachian Trail for 15 miles and a handful of other gorgeous trails for the remaining miles, and showcases some of the Nantahala's most impressive and beautiful features. While it's possible to do this trip as an overnighter, we suggest taking two nights, so as to fully experience all that this route has to offer. Also, don't be intimidated by the 5,000-foot peaks because by the time you start hiking, you'll already be at about 4,000 feet, as most of the elevation will have been gained from the car. The Standing Indian trip is about as moderate of hiking as you'll find on the Appalachian Trail until you get to Virginia. So, it's the perfect spring break trip for people who've maybe spent their winters studying a little more and hiking a little less. And the views you'll encounter along the way are some of the most stunning you'll find in the Smokies. 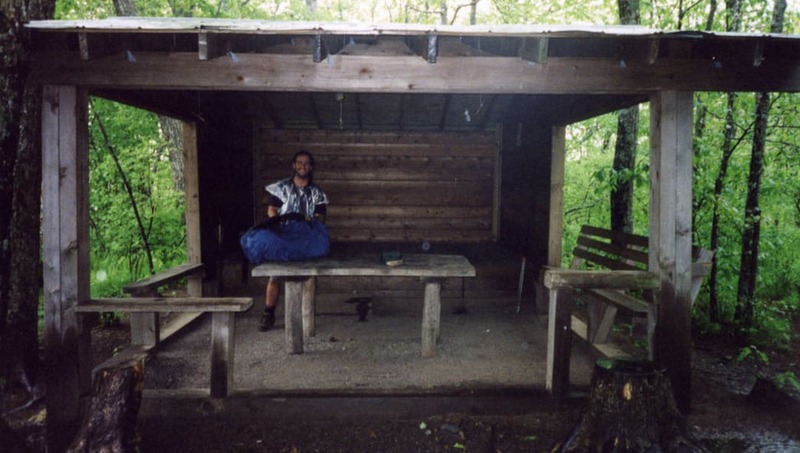 Suggested Route: Start from the Standing Indian Campground and travel up the Long Branch Trail until it connects with the AT. Plan to spend your first night on top of Mt. Albert, which is an incredibly scenic summit with a firetower and panoramic views of the outstretching Nantahalas, and it's only about a 5.5-mile trip from the trailhead. The stargazing from here is pretty incredible, so try to plan your trip on a clear day. The next day, you'll descend into Carter Cap, where there's a shelter and a water source, and then you'll spend most of the day walking on a scenic ridge that has consistent and sweeping views along the way—especially in the spring months when the summer foliage hasn't yet returned. Eventually, you'll gradually wind your way up on an accommodating trail until you reach the peak of Standing Indian itself—a treeless bald with commanding views of the area. Considered by many to be the "Grand Stand of the Nantahala," this summit is seriously spectacular. There is one small campsite on this bald, but it's first-come-first-serve, so if you want to snag it (which you absolutely should, if you can), you'll need to begin your second day very early in the morning. Your final day will possibly be your best. It won't be anything like the soaring, ridgeline hiking you've done on the AT thus far, but it will instead offer a softer kind of beauty with tight hiking, dense forests, and babbling creeks. You'll descend back down to the Standing Indian Campground (where your car is) via the 7-mile Kimsey Creek Trail, which takes you through a dense and lush wonderland of hemlock groves and rhododendron tunnels. In the early spring months, it's important to note that there's always the likelihood of snow and ice on this side of the drainage, so Yaktrax and trekking poles might be a good idea. "Chattanooga" and "climbing" are two words that just go together well. The amount of sandstone in the Scenic City region is not only vast but of stellar quality, and it's easy to see why climbers from all over the world flock to Chattanooga throughout the year. And when they do, you can be sure they're staying at The Crash Pad, a boutique hostel in the Southside of Chattanooga that was founded by a couple of climbers themselves and whose mission is "to further establish Chattanooga as an ultimate outdoor destination by providing a base camp and community hub for adventurous travelers." Bunk rooms run for $35 per night, and private rooms range from $85-110 depending on the room. And don't be surprised to see some of the staff out at the boulder field as well. Stone Fort (Little Rock City) is just a short drive from Chattanooga up Highway 27, and it has long been considered one of the best bouldering destinations in the Southeast. Access is a breeze to this highly concentrated boulder field located on Mowbray Mountain, and you could easily spend all day there (or all week there, for that matter!) trying new problems and getting lost among the boulders. For a full day of bouldering with fewer people, head 45 minutes south into Georgia toward Pigeon Mountain. High on the crest of the pinnacle of this mountain, Rocktown is a remote climbing area with some incredible boulder clusters and over 500 established problems spread out over a large area. If trad climbing is what you're after, Tennessee Wall is as good as it gets. With over 400 established routes this fiery orange cliff line has become a southern classic and an absolute must for traditional climbers. Like most other crags in the Southeast, T-wall’s season has winter and early spring written all over it. Let the sun beat down on you while the rock stays cool and crisp enough to send your projects. If you're trip happens to coincide with spring showers, have no fear. Located in the heart of downtown, High Point Climbing and Fitness is Tennessee's premier indoor rock climbing facility, featuring over 30,000 square feet of indoor and outdoor climbing. Mojo Burrito—huge, flavorful burritos, nacho plates, tacos, and cervezas. Tremont Tavern—large, greasy burgers with creative creations, tots and fries, and tons of craft beer. Lupi's Pizza—groovy pizza joint with the best pies in town. Written by RootsRated for RootsRated.